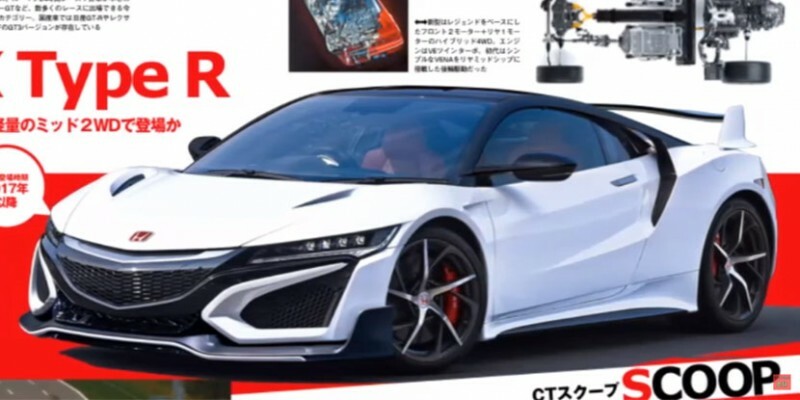 We found another second-generation Acura/Honda NSX Type-R render, this one appears to originate from a Japanese magazine. It adds a front splitter, rear spoiler, painted black roof and a new color combination of the interwoven wheels. It’s similar to the last NSX Type-R render we posted, but with less upgrades. The caption also seems to indicate that it will be rear-wheel drive.